Resources for congregations embracing renewal and features for regional leaders who support them. 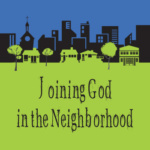 Giving you access to resources, inspiration, and practical experience for missional renewal. 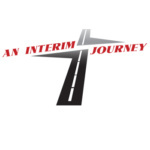 Providing content valuable to regional leaders and the congregations you support. How will your team ignite its ministry in the year ahead? What might it look like to use our freedom to live more and more into God’s economy? What implications might this have for our daily work? In this Blog post Phil Kenneson begins a conversation about how this can shift the way we think about work. Listening to you and sharing back will help us identify and develop the kinds of resources that make a difference in your ministry. 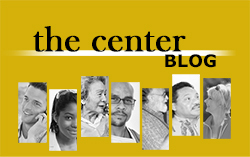 In December we asked for input about what you are most looking for in the Center Link. At the Center we work to provide practices that manifest the reality of God’s presence in the life of the church community and become part of its giftedness for the sake of the world. These ecclesial practices are formational and even transformational for the church. Look for the sharing and highlighting of these practices to continue. Once churches gain clarity about the “what” and the “why” of missional renewal, the practical helps can make a difference and invite innovation. 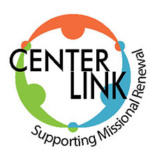 The Center encourages the creative use of resources and processes to support congregations in experiencing, experimenting and embracing the “how” of living into a faithful and fruitful future. The Center Link will continue to share samples of resources to illustrate and stimulate adaptation. 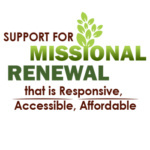 Please continue to share your suggestions for content and feedback with this ONE-MINUTE SURVEY HERE…..
Building Local Capacity for Missional Renewal. 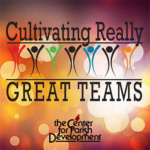 In 2017 the Center for Parish Development will be introducing training to equip and support leaders committed to guiding Christian communities in using resources and processes for missional transformation and renewal. If this is an interest of yours, we want your input into helping develop the details. Comment to indicate your interest, questions or hopes. We are committed to the vision of our church as a dynamic learning community open to the Word, the Holy Spirit, and to one another. We believe that God is a missionary God who calls us together as the Body of Christ and sends us into the world as a Christian family of faith, hope, and love. As Makiki Christian Church prepared to celebrate its 100th birthday, members and leaders of the congregation began to realize that the world was changing. The place of the church in American society had shifted from Main Street to the margins. Secular values had not only spread throughout the world; they were also shaping the life of the church. While the congregation valued the Gospel and biblical teachings, the Bible often remained unread. And even where it was read, it was often heard only as “God’s word to me, an individual,” and not taken as God’s message for the Body of Christ—all of us together. 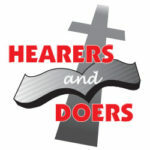 Knowing that without a clear and unifying sense of mission the congregation might easily stagnate and decline, Makiki embarked upon a journey of learning. As a first step, through a give and take process of analysis and dialogue, the congregation identified several challenges that blocked its participation in God’s redemptive mission in the world: a win-lose decision-making climate, a lack of a common vision, a minority doing most of the work, ignorance of basic Christian faith, too much dependence on clergy, defining “success” in worldly ways, broken communication, and a splintered and fragmented church. 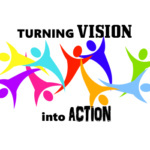 Then, shifting from an analysis of the current situation to the discernment of God’s vision for the future, a key part of the learning journey was an intentional visioning process. The result was a guiding vision — not so much a statement but a multi-colored portrait or inspiring mosaic of what Makiki believed God wanted it to be as a church and what its shared life should look like. During their study and reflection, they affirmed many familiar and cherished understandings: the sovereignty of God, the centrality of faith, hope and love; dependence upon the Spirit; and the importance of worship and prayer. They also came to new (or renewed) realizations: (1) Koinonia is not an option in the church but rather a necessity. 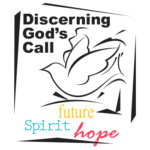 (2) Discernment is a crucial Christian discipline in a changing world. We need to be a learning and listening community. (3) Taking the time to discuss, pray, discern and come to consensus offers the church an alternative to win-lose scenarios. The quotation which begins this essay is drawn from their vision which is framed around the image of The Light of the World. Jesus said, “I am the light of the world.” But he also calls upon the church to be the light of the world (Matt. 5:14). And so members envisioned their church as a lighthouse of true worship in a world awash with many false gods; a warm and loving community that exists in contrast to the often cold and bitter world; and also as a powerful laser, an instrument to accomplish God’s purposes in the world. A New Way to Be Church. Based on the new guiding vision, Makiki commissioned approximately 40 church members from both the English and Japanese congregations to undertake the work of designing a new church. Participants in this process felt stretched in both heart and mind as they questioned past practices, examined biblical texts, and listened to one another’s thoughts and feelings. As they envisioned a new shape for Makiki’s ministry, four key areas of focus emerged: Christian Community Formation, Worship, Christian Witness, and Stewardship. A new church structure was adopted based on these key areas. In addition the new church design included five leadership norms and practices to shape all ministries: (1) Gathering, because making time to be the church cannot be taken for granted. (2) Practicing discernment, continually asking “What is God calling us to be and do?” (3) BEING THE CHURCH WITH ONE ANOTHER, living out what we believe. (4) Maintaining a strategic focus, keeping in touch with the Big Picture. (5) Practicing Sabbath, letting God be the primary Actor in our life together.